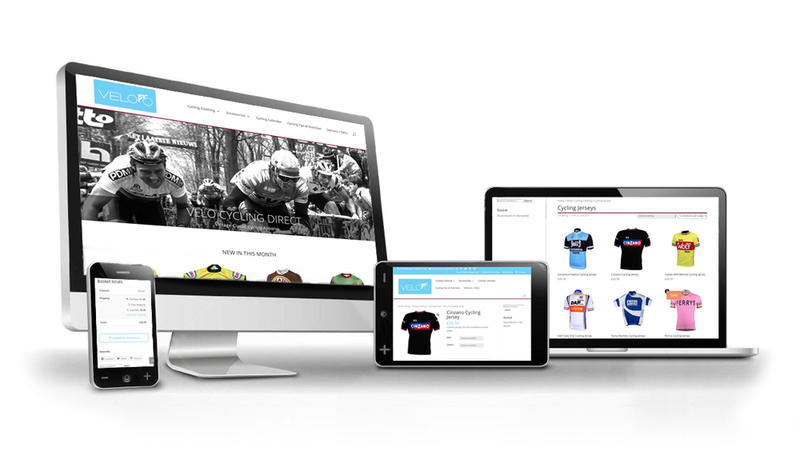 Velo Cycling is an ecommerce business which sells affordable, high-quality cycling clothes and accessories. The company specialises in retro and vintage jerseys. The owner, a keen cyclist himself, approached BW3 with the initial idea of setting up an online business. He had found a clothing supplier but had no experience of setting up a website let alone selling online. We initially talked through his ideas, providing examples of other ecommerce sites that we had worked on and demonstrated the back office functionality. The resulting website is a profitable online retailer with a loyal customer base as well as picking up new business through the use of good SEO. It was really important as we developed the content to identify the search terms that were going to work to bring new customers to the site. The market is quite crowded so we spent a lot of time identifying keywords which would help the business be found online. BW3 also took some of the product shots which appear on the site as well as editing existing catalogue shots to create a consistent look throughout. Although the ease of the CMS means that Velo Cycling update products themselves on a regular basis, we still work with them on a ‘health check’ twice a year, making sure that keywords are still relevant and the site is regularly refreshed. I had a business idea but had no idea of the process of setting up a website to progress it further. Once I met Paul White he made it very easy for me and within a few months my website was live and I had an e-commerce business. My business is now thriving and I still meet up with Paul for updates and to explore new ideas. I have always found working with Paul to be very relaxed but the end product is very professional.